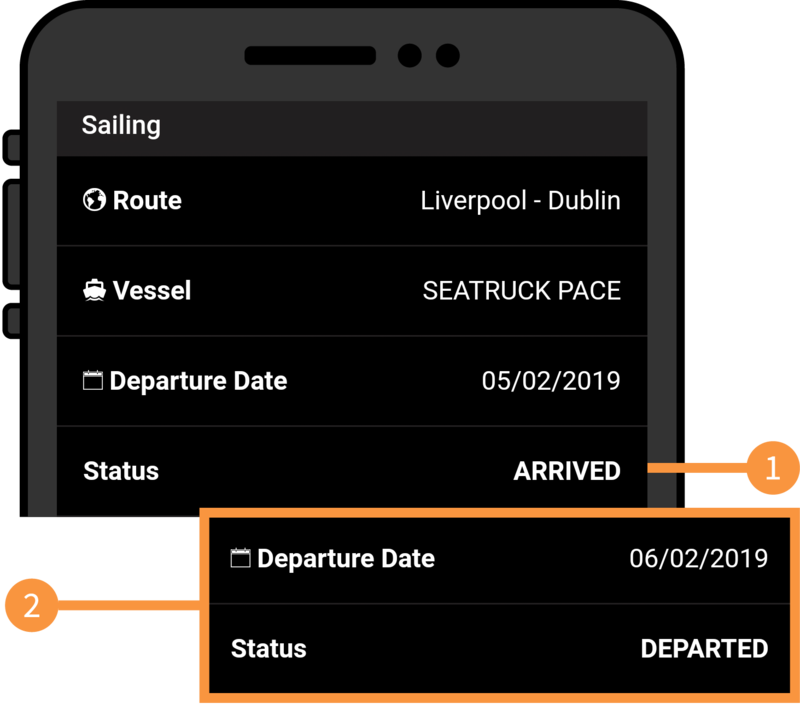 The Seatruck App provides users with real-time schedule information, showing the very latest arrival and departure times on all routes. 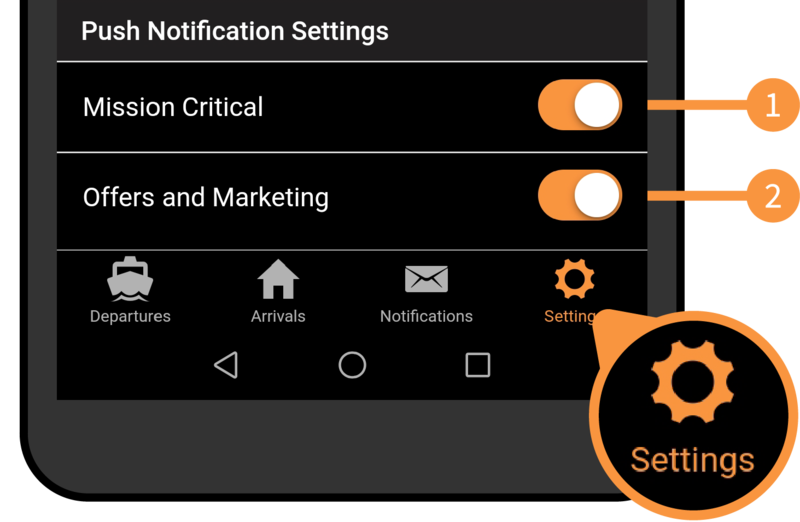 Once downloaded users have the option to receive schedule and marketing alerts (push notifications). 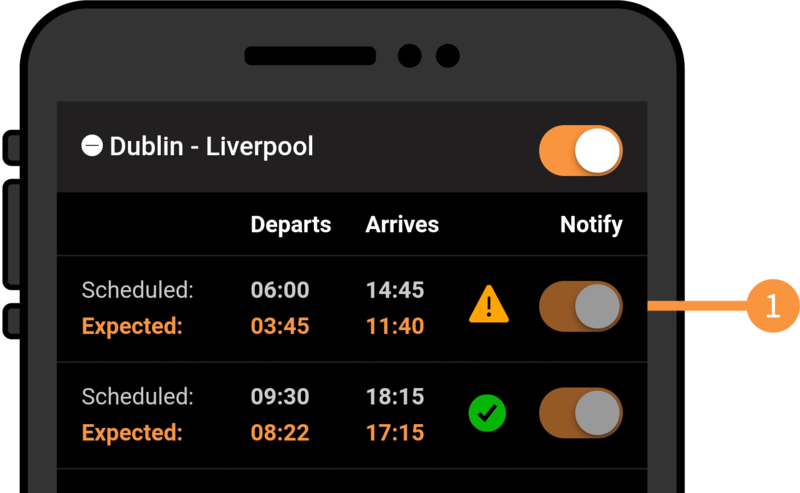 Select this tab to receive schedule alerts, (push notifications will only be received if the user has selected “notify” on a specific sailing or route). Select this tab to receive Seatruck marketing and offers. Each departure will show the “standard” schedule time followed by the “Expected” time. Any change to the “standard” time will display orange in the “Expected” time, once sailed a green tick will be displayed. If departure/arrival times are unknown the display will show TBC. 1. A warning triangle is displayed when a sailing is delayed/departing early, this is currently set to 60 minutes. 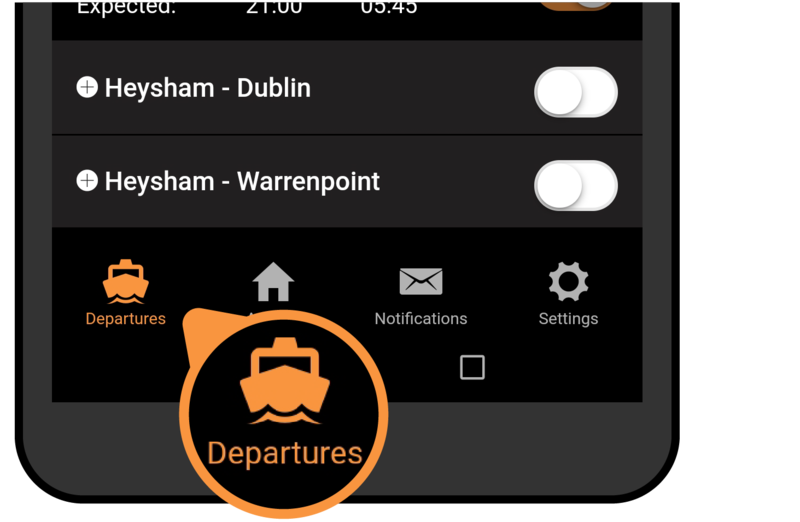 Select the notify tab on your preferred route or sailing to receive schedule notifications. Selecting a sailing in both arrivals (1.) and departures (2.) will show the ships name and live status. (OK, departed, arrived, cancelled). It can also display the reason for any delay. Each arrival will display the “Scheduled” time followed by a “Live” time. A green “tick” will be visible when the vessel has arrived. A warning triangle is displayed when a sailing is delayed/arriving early, (currently 60 minutes). 1. Select the notify tab on your preferred sailing to receive schedule notifications. 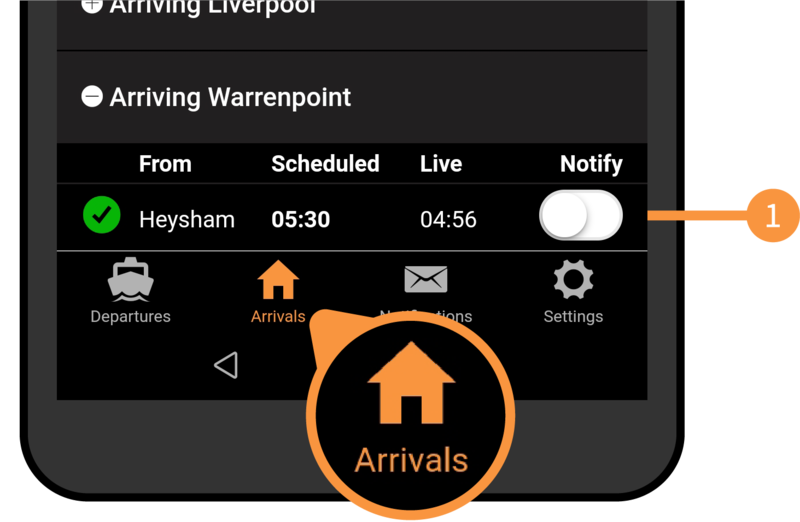 We very much hope you enjoy the app, this simple but powerful app is designed to give customers, drivers and passengers the very latest travel information without the need to call your local shipping office.